What’s that I hear you ask! The whole MOKURU concept was completely new to me and I had no clue what to expect. However it is strangely fascinating and addictive! If you are a fan of the fidget spinner then this is the next craze! Designed by Masakazu Node, MOKURU is the latest craze in Japan. Made from quality Beech wood it is designed to test your balance, focus and dexterity. So what can you do with MOKURU? You can flip it, tip it and spin it. And it’s not just with one, with practice and skill you can even do it with five. However, we are still only just about managing with one and think we are a long way off from being able to cope with five of these at once! MOKURU comes in a variety of colours to suit everyone: green (Matcha), orange, (Kirin) white (Byakko), red (Suzaku), blue (Seiryu) and yellow (Inazuma). There are fakes out there so make sure you get your hands on the original MOKURU. 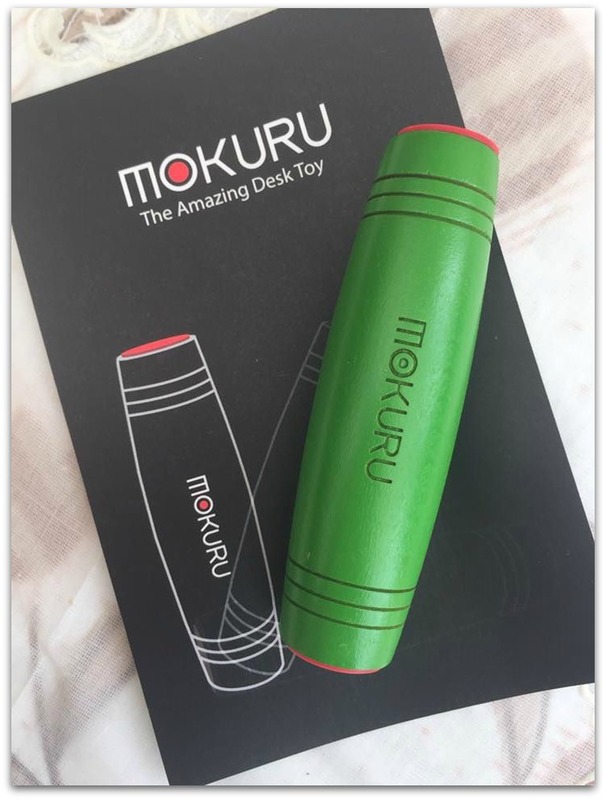 Available to buy at Amazon: The Original MOKURU Beech Wood Fidget Desk Roller (Genbu Black) . They are small enough to put in the kids bags or even your handbag to take out with you. Play alone or play as a competition with your friends and see who is the best MOKURU master out of you all! For more information check out the MOKURU facebook page, instagram and website. I am pleased to be able to offer 3 of my readers a Mokuru each. Please note you will not be able to select the colour as it will be a random allocation. All entries will be checked and if entries are not completed completely then the entrant will be disqualified. Winner will be contacted within 48 hours of the giveaway ending and the winner will then have 28 days in which to accept their prize. If no contact is made I reserve the right to draw another winner. Disclosure: We were sent a MOKURU to try out. All thoughts and opinions are our own. This post contains affiliate links. I have not heard about this. Quite interesting piece of wood. Looks like it also improves one’s focus. Will check if it’s available in India. So I can gift to my nephews to play with. 🙂 Thank you for sharing! Hmm have never heard of this lol but honestly I think I like the figet spinner more because I don’t have to use it on a surface. This looks simple, yet challenging. Let us know if you feel like you’ve mastered it in a few more months! Thanks for sharing this product with us! Looks interesting. Not sure how I feel about fidget toys but this looks better than the spinners. This looks so cool. Fidget spinners are a lost trend now that MOKURO has come. Though I personally dont think would be able to do all those spins, but would definetely buy it as gift for kids. Wow, the things they come up with these days. The fidget spinner craze is still full swing in South Africa. Haven’t even heard of Mokuru as yet. It will probably hit the market soon lol. Never heard of this but sure looks like a lot of fun. my child-like heart likes to have a lot of fun. Heard of this the first time! Sounds exciting. I’m sure my three children would love it.